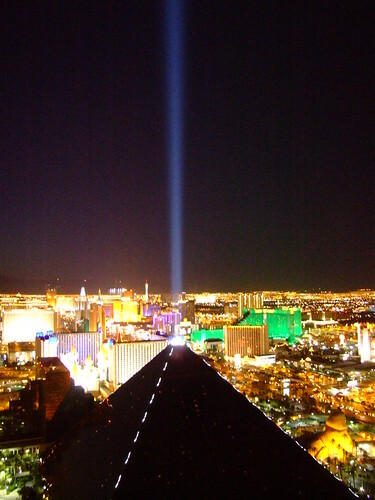 The Luxor's light beam cuts through the desert night. This shot brings back memories as 10 years ago, two friends and I went on trip around the southwestern United States and was in Las Vegas on the day of Princess Diana's Funeral. Two weeks into our 3 week odyssey. We stayed at the Hotel Tropicana, just up the road. All my pics of that event are pre digital and I dont have a working scanner curruntly. I was close to where you are yesterday as the Wife & I were in Richmond to some specific items from a speciallist shop there.